The New Cuban Missile Crisis: The “Missile Defense” Arms Race. While history will remember the 20th century for the nuclear arms race, the 21st century might be remembered for the missile defense arms race. About 20 countries now possess missile defense systems, but more than 40 states are expected to have them by midcentury. In fact, by 2050 an entire coordinated system will appear of ground-based, sea-based, air-based and possibly even space-based missile defense elements. At the same time, the United States and its NATO partners are trying to downplay the negative consequences that missile defense will have on international security, saying it is purely defensive in nature. The standard explanation is that the missile shield will consist of 40 ground-based interceptors positioned on the territory of the continental United States and several dozen more interceptor missiles deployed on the territory of NATO member states and on war-ready battleships. The spread of U.S. and NATO missile defense systems to many regions of the planet will inevitably lead to an increase in missile defense development-related expenditures. In fact, the current rate of spending will soon outstrip total U.S. outlays for missile defense for the past 25 years combined. Washington spent $132 billion on missile defense over the past quarter century, but now the Pentagon plans to invest $50 billion on such programs over the next three years alone. In addition, the U.S. missile defense program will receive $7.4 billion in budgetary funds in 2010, and the White House is planning to ask Congress for $9.9 billion in 2011. Interceptor missiles have steadily become more effective as both their accuracy and range have increased. This enables the United States to convert the existing tactical missile defense system in Europe into a strategic system capable of striking and taking out intercontinental ballistic missiles during all three phases of their flight — boost, midcourse and re-entry. 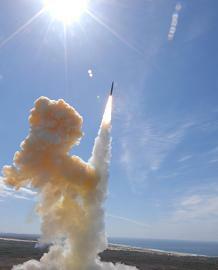 Washington’s development of a new program to “reconfigure missile defense” will be linked to the strategic and tactical nuclear capabilities of the United States, Britain, France and a range of other NATO member states, as well as to space-based weapons that the countries of the West might deploy in the future. The result is that the “new missile defense architecture” announced by U.S. President Barack Obama last year might turn out to be a dangerous undertaking that could lead to a breakdown of strategic stability in the world. The United States has yet to convince Moscow that this undertaking will not undermine Russia’s national security. Moscow officials are now wondering if the West isn’t leading the world toward another Cuban missile crisis. One of the paradoxes of the 21st century is that while there is near parity between U.S. and Russian offensive strategic nuclear weapons, there is a significant imbalance between not only the number of interceptors in the two country’s missile defense arsenal but the geographic configuration since Russia has no missile defense elements deployed outside its national borders. While the number of strategic nuclear weapon are decreasing — and rightfully so — the missile defense elements deployments are increasing along with their effectiveness, and this is a dangerous trend. Understanding that this trend destabilizes global security, many nations are proposing a pact that would limit the deployment of a nation’s missile defense system to its home territory only. If this agreement cannot be achieved, we will be faced with both a missile defense arms race and another offensive arms race as well. Vladimir Kozin is head of the analytical section of the Asia-Pacific department at the Foreign Ministry. The views expressed in this comment are his own.